Now in mid-January, we’re a little more than halfway through the 2018-19 NHL season. And the halfway mark of the NHL season can bring about a time of reflection and remembrance. Remember when the New York Rangers were hot in November? 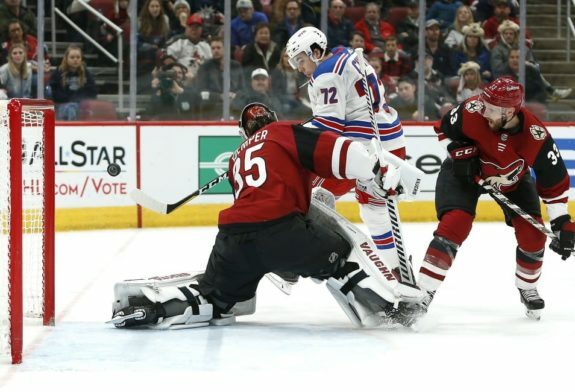 Harsh reality has set in, slapping the team in the face, as the Rangers are sixth in the Metropolitan Division with an 18-20-7 record with 43 points, 10 out of playoff contention. Admittedly, their play has been dreary to watch of late, as the team dropped five straight before a Jan. 12 win against the New York Islanders. The Rangers are 3-6-1 in their last 10 games, which includes a stinging Jan. 10 loss to the Islanders, who scored the winning goal on their only shot of the third period. The truth is, this should be expected with the club focused on rebuilding, but what’s happened of late? Maybe the young players experiencing the NHL grind for the first time have tired? Maybe they end up on a hot streak again and prove this is just a really streaky team? Nonetheless, with the season a little over 50 percent in the books, let’s update how good some of the Rangers’ young guns have been. By the time mid-November rolled around, Howden felt like an integral part of the team and was considered a bright spot on the Rangers’ struggling offense. Things then slowed down for him as he started to shoot the puck less. In the first 25 games of the season, he had 13 points, fifth among rookies. Now, it feels like he doesn’t exist. His last goal was on Nov. 12 against the Vancouver Canucks and he hasn’t posted any points since an assist in a Dec. 18 game against the Anaheim Ducks. Howden had a disappointing shooting percentage and PDO even before he slowed down, but he’s not the only Ranger struggling. He may also have missed playing alongside typical linemate Jesper Fast. Most of Howden’s work outside of the NHL was in the WHL and World Junior Championships and only played five games in the AHL. But the solution isn’t to dump him on the Hartford Wolfpack. He should continue to get as much playing time as he can as a third liner and develop as a young player and maybe he’ll find his footing again. Chytil has been one of the more interesting players on the team this season. Early on, some felt he should have been in Hartford to give him more room to develop and extend his entry-level contract. Then he had his five-game goal scoring streak and since then, his play has become an inconsistent pattern of ups and downs. Chytil is not jumping over the likes of Mika Zibanejad and Kevin Hayes on the Rangers’ center depth chart, and yet that’s a blessing considering he’s done OK for himself as a winger. 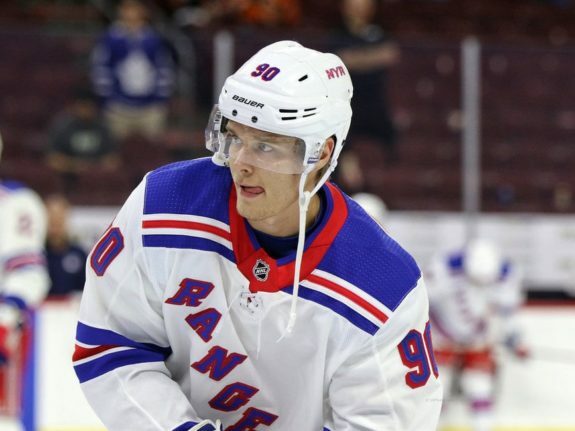 But the team has struggled at center since Hayes went down with an injury, and it prompts the question as to what happens to Chytil and Howden should the team ultimately trade Hayes? 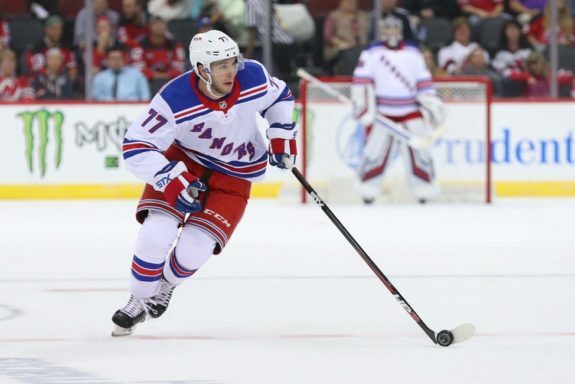 How can the Rangers give these young guns more ice time to see action and gain experience? How do they fit in on the lines? Chytil’s play is passable, it’s just the team’s situation at center that’s a cause for concern. Where to begin with DeAngelo? Many see something in him but there’s a split when it comes to who thinks he should remain with the Rangers. At times, the offensive-minded defenseman’s emotions and aggressive play work, such as on the assist he earned in the Jan. 12 game against the Islanders. Other times he makes extremely disappointing decisions. For example, in a Jan. 8 matchup with the Vegas Golden Knights when he took an unnecessary 10-minute misconduct after a boarding penalty. You can blame the refs for a missed boarding call on him by Golden Knights winger Max Pacioretty that led to DeAngelo’s retaliation, but in the words of Brett Cyrgalis, “If Tony DeAngelo deserved to be in the Rangers’ lineup every night, he would be.” Quinn may feel he has eight defensemen who can play, but from that penalty to his Corsi and Fenwick percentages, which hover around 47-48 percent, he has left a bad taste. In this rebuild, the Rangers have shown that no one, even a player new to the team, is safe. Look what happened to Ryan Spooner for example. DeAngelo may have to make a huge push to avoid the same fate. Namestnikov didn’t start his Rangers tenure on the right foot after coming over from the Tampa Bay Lightning. And while his season didn’t begin smoothly either, starting on a rocky fourth line, Namestnikov has since fought his way back to produce 15 points, including 11 assists. Namestnikov acknowledged his slow start but has since picked up the physicality Quinn likes to see in his young players while keeping his speed and still making smart hockey decisions. In fact, his performance has brought about questions as to whether he should stay with the team or if he should be dealt as a piece at the deadline. If he goes, then just like how he was a throw-in during a trade between the Rangers and Tampa Bay Lightning last season, maybe he can be an extra piece in a deal to allow the Rangers to upgrade elsewhere. If he stays, hopefully he can be a valuable asset on the lower lines. It’s clear the Rangers are going nowhere fast, and a lot of the fresh faces brought in over the past couple of seasons are stuck. Perhaps it’s time those next steps in the rebuild come sooner than later. It’d be a benefit to the young blood to get all the ice time and development as they can right now.